Pay attention! 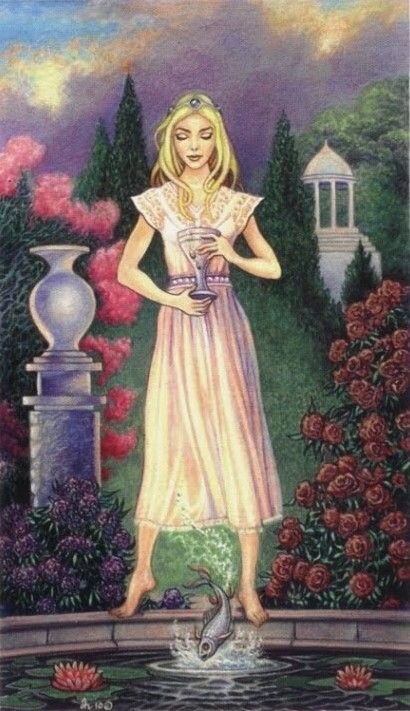 The Page of Cups is a Messenger of the Tarot, and if you listen closely to your intuition today, you can pick up on what the Universe has to say. It is important to remember that there is no such thing as coincidence here. The Universe weaves its magic, bringing all of the parts of its tapestry together at just the right time. New beginnings are indicated here in the emotional realm, and they allow you to create your own masterpiece. Inspiration is possible today; how you choose to act upon it may need to be taken under consideration. Some things may need to be jotted in a notebook for later, while others can serve you well in the current moment. Be open and receptive to your surroundings and let what the Universe has to offer flow through your very soul for the best possible results. This entry was posted in Card of the Day, General Tarot, Patreon, Readings, YouTube Videos and tagged Card of the Day, Guidance, Page of Cups, Path, Readings, Tarot.